Noooooo! As fans may have heard, a live-action Ghost in the Shell remake starring Scarlett Johansson has been in the works. And so, a casting call for extras recently popped up. This thing is really happening. Based on the manga by Masamune Shirow, Ghost in the Shell follows a Japanese public security agency's hunt for a mysterious hacker. Produced by Avi Arad, Steven Paul and Mark Sourian, with a script by William Wheeler (Hoax, The Reluctant Fundamentalist), the remake will be directed by Snow White and the Huntsman director Rupert Sanders. 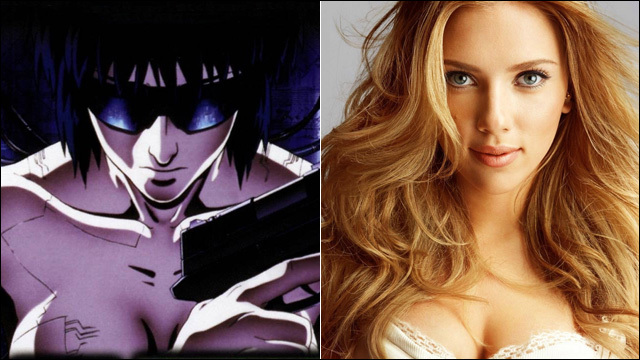 Scarlett Johansson will presumably pay the role of Major Motoko Kusanagi. Rachel Bullock Casting posted an open casting call for extras to appear in Dreamworks and Paramount Pictures' live-action adaptation of the manga and anime classic, which is scheduled to begin shooting early next year in Wellington, New Zealand. The casting call is for people of all ethnicities, age 18 and over. "Ghost in the Shell," a DreamWorks Studios film shooting in NZ (out of Stone St studios in Wellington) in January 2016. This film is based on the internationally-acclaimed manga and anime series of the same name. If you or anyone you know are interested in being an extra, are available to work in Wellington, and are aged 18+ please let me know. So yeah. This damn thing is happening. Ghost in the Shell is schedule to hit theaters on March 31, 2017.